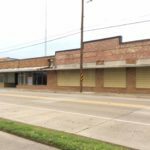 On site: 2519 South Grand – Monroe, La. Wednesday – May 6th – 10:00 A.M.
17,892 sq. ft. ± bakery structure and offices. 55,122 Total sq. ft. ± buildings, with parking, fencing, all on concrete encompassing and entire city block. Auctioneers Note: A most unusual real estate investment opportunity for a multitude of uses or development. Located less than a mile from Hwy 165 and convenient to I-20. Auction Terms & Conditions IMPORTANT INFORMATION – PLEASE READ! Registration: All Bidding is open to the public. In order to bid you must be a registered bidder. Buyer Registration will begin 2 hours prior to Auction. Cash or cashier’s check must be presented in order to register. Specific requirements may be waived for individuals/companies known to MAA or already established customers. Deposits: 10% down day of Auction, cash or cashier’s check. Nonrefundable deposit, should Buyer fail to close within 30 days on or before June 8, 2015. Buyer agrees deposit will be immediately forfeited to Mike Ackel & Associates Auctioneers L.L.C. as liquidated damages. Closing: The Successful Bidder must sign purchase agreement immediately upon close of bidding on the purchased property day of Auction. Balance due at close in 30 days, on or before June 8, 2015. Purchaser will be responsible for all closing costs, taxes to be pro-rated. Good insurable title free from all liens, taxes and encumbrances is guaranteed or deposit will be refunded. Conditions: Property sells with a 10% buyer’s premium added to the final bid price and included in the total purchase price. Property sold “AS IS, WHERE IS” (See exhibit ‘A’ Attached). We encourage you to have an inspector or contractor look at the properties with you. The Auctioneer makes no representation or warranty, expressed or implied, as to the accuracy of the information contained herein. Submitted is subject to errors and omissions, all measurements plus or minus. Although information has been obtained from sources deemed reliable, buyer should rely on their own information, judgment and inspection of the property and records, including, but not limited, to all documents recorded in the parish where the property is located. All announcements from the auction block will take precedence over any previously printed material or any other oral statement. Financing: Purchasers need to obtain their own financing. Purchase Agreement is not subject to financing or qualification. All bidders should be pre-qualified. This Auction is not contingent upon financing of any kind. Inspections: It is the bidder’s responsibility to inspect the property and to perform their own due diligence. The seller and Auctioneer assume that bidders have inspected the property and preformed their own due diligence prior to bidding: and that the high bidder is acquiring the property based solely on their own independent investigations and inspections and not in reliance on any information provided by Seller, Auctioneer, any of their employees, officers, directors, agents or contractors, subagents or subcontractors. Buyer Possession: Buyer will have possession at closing. Buyer Agrees: Buyer agrees upon registration to bid, to the terms and conditions of this sale.